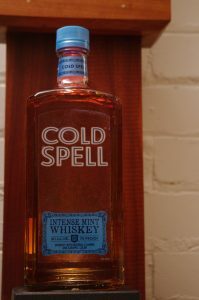 Notes: Cold Spell is a Mint Flavored Whiskey made by Heaven Hill Distillery. 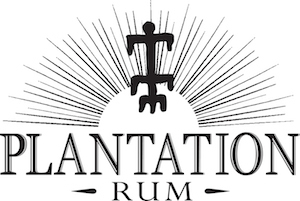 Heaven Hill has a large portfolio of products such as the Elijah Craig, Evan Williams, and Parker Heritage Series, Larceny, and Henry McKenna Bourbons, along with a lot of other products they import such as Lunazul Tequila, PAMA Pomegranate Liqueur, Domaine De Canton Ginger Liqueur. The history/background on this whiskey is remarkably skimpy and opaque. No mention of what type of whiskey ( it was probably Heaven Hill white label bourbon that did not make the cut) and was flavored with mint. As it is merely labeled whiskey, it has other things added to it such as caramel for color, and “natural flavors” ? could mean a host of things. Appearance: Clear, whiskey-colored, light amber/caramel hue to it. A medium to heavy coat on the glass and rapid leg formation on swirling leaving and edge line that very slowly recedes. Taste: Aggressively minty with lots of sugar, cloying sweetness to it. Mint flavored antifreeze, marginally better than the Dr. (Aloysius Percival) McGillicuddy type of stuff. Bottle: Square, almost brick shaped bottle with curved, indented sides. Plastic stick on Label with ‘Cold Spell in silver and blue and bright blue lower label with scroll work spelling out what it is. Other: Was tasted at room temperature. Like antifreeze, probably tastes a lot better cold. 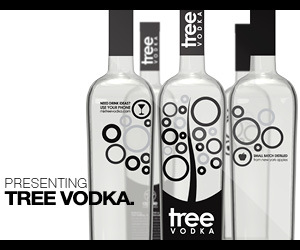 Final Thoughts: Not something I would imagine anyone of legal drinking age and any experience would like. Frat Boys might love it as a shot. Actually Just a placeholder for the brand. Nothing more than a picture and a couple of links.